START WITH A CHECKLIST. Make a list of logistics (guests menu, theme, costs). Then do a day-by-day tasking schedule so you would know what needs to be done on a specific date. SOCIAL MEDIA IS YOUR FRIEND. Technology is the easiest way to bring everyone together. All you have to do is to create an event page on your social media account and post the invite. THINK OUTSIDE THE BOX FOR THEMES AND DECORS. Kiddie parties are the easiest to plan because it’s typical of them to choose their favorite cartoon character, activity or color. But there are kids who want something different. A “royal celebration” for a little prince’s first birthday would include crowns, clowns and a festivity fit for a “king”. For your little miss, a ballerina-themed party is a fancier concept. Aside from the usual videoke sessions, adults love parties that show what they dig most. An outdoor picnic or barbecue party is perfect for an outdoorsy person while a 1960s party is best for a 60-year-old celebrant. Other unique concepts can be based on hobbies and interests. FINALLY, FOOD! Aside from great company, people remember a party because of its good food. And when it comes to personalizing your party, planning the menu, and cooking the dishes, KING SUE got you covered. Have mini booths or food carts that serve kiddie favorites such as cotton candies, fries, lollipops, and ice cream. Kids love a hotdog stand. 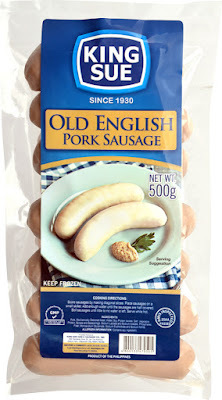 So be ready to skewer some King Sue Hotdogs and marshmallows. Adults prefer their own version of the hotdog stand, except that they get to eat their way with some grilled King Sue German Franks, Hungarian-Style and Old English Sausages. For luaus, Hawaiian sliders are spot on, with slices of King Sue Hawaiian or Pina-sliced ham, cheese and pineapple slices. Assemble King Sue Cold cuts like bologna, sweet or spiced ham, salami and pepperoni. Add chunks of your favorite cheese, macadamia, walnuts or pistachio nuts, grapes and bread. A nice bottle of wine completes the picture. Everyone loves spaghetti with lots of meat! 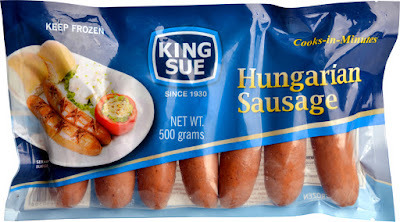 So aside from ground beef, be sure to add King Sue Luncheon meat to satisfy their craving. Should you wish to serve Filipino dishes, King Sue has Pinoy local favorites Chicken Relleno, Sisig, Garlic Longganisa, Chicken Tocino, Pork Tocino, and Chorizo Filipino that balikbayan guests will love. CAPTURE THE MEMORIES. Do a gallery or exhibit of sorts for the occasion. Display photos of the celebrant. There are DIY/craft stores that sell stylish frames, colored strings, and trendy pins where you can attach the photos to and hang them near the buffet table. Take lots of pictures during the party and post them in your event page afterwards.